Lock in a great price for NH Venezia Rio Novo – rated 9.2 by recent guests! The breakfast was excellent, I like everything I try. the cleaning and how they present the breakfast was very good. 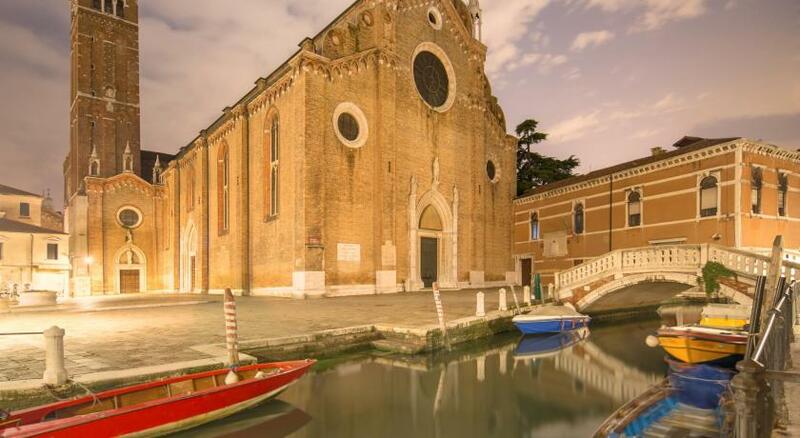 Excellent modern clean accommodation in the heart of beautiful Venice. Staff very helpful. Super clean, crisp and neat. Contemporary property with all comforts. Much preferred to overrated plush hotels closer to San Marco. Staff was very friendly and helpful. No complaints there. 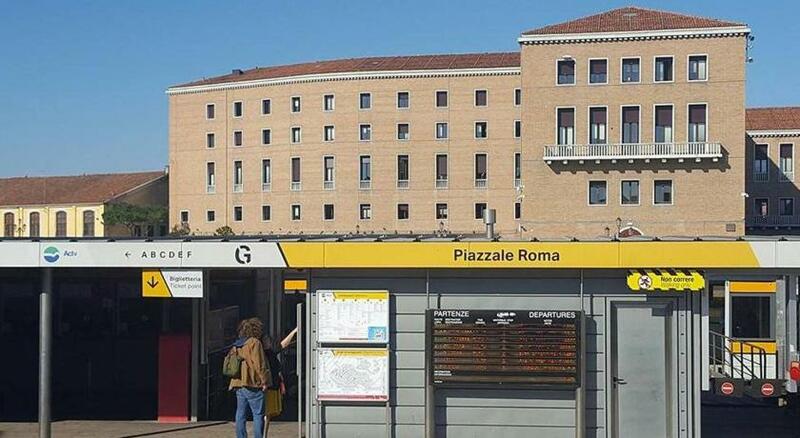 Location close to Piazzale Roma. Could open windows. The stuff are friendly. Location isn’t bad at all . Breakfast is good . Price is reasonable. Good view . Clean . Comfortable. Very clean, comfortable and cozy. Service was great. The staff was so warm and welcoming! The location was perfect which made it even better after a long day of travel!! Everything was so clean!! I’ll definitely recommend to my friends for the future! Very clean and comfortable. Warm and nice atmosphere, very nice design and welcoming, staff was very friendly and helpful. Thanks for a great stay!! Very good breakfast, comfortable and clean room, friendly staff, within walking distance from all the main attractions. NH Venezia Rio Novo This rating is a reflection of how the property compares to the industry standard when it comes to price, facilities and services available. It's based on a self-evaluation by the property. Use this rating to help choose your stay! 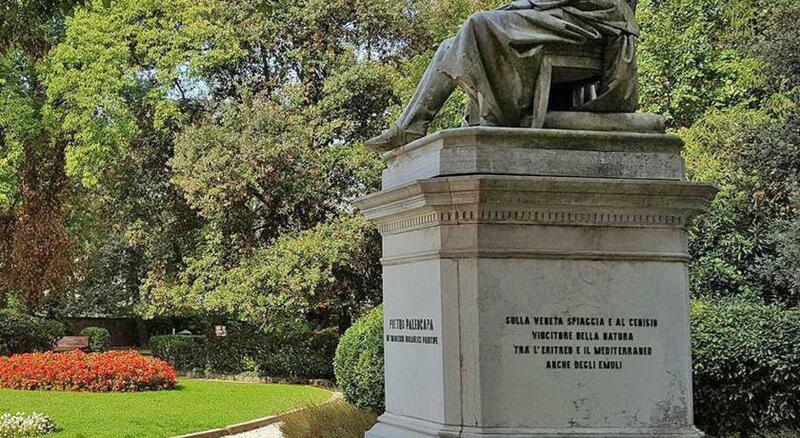 One of our top picks in Venice.Located in Venice, a 10-minute walk from Santa Lucia Train Station, NH Venezia Rio Novo offers free WiFi. All rooms at the hotel are air conditioned and equipped with a mini-bar. The private bathroom is fitted with a shower, hairdryer and free toiletries. 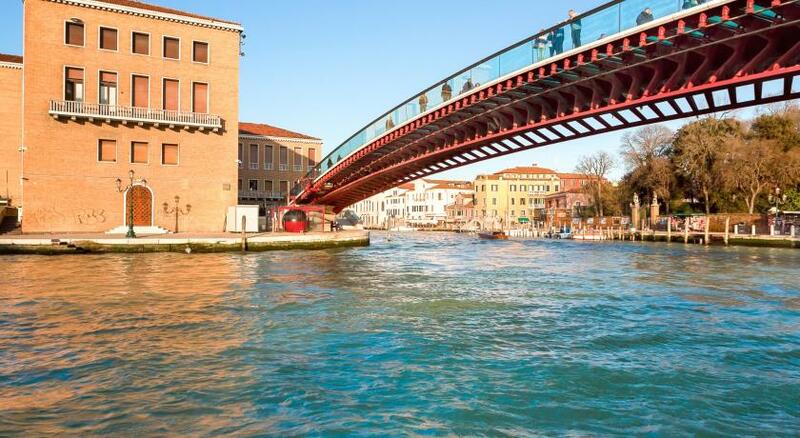 NH Venezia Rio Novo is located a short distance from attractions such as Rialto Bridge, Ca' d'Oro and Piazza San Marco, all within 1.2 mi of the property. Venice Marco Polo Airport is a 20-minute drive from the hotel. When would you like to stay at NH Venezia Rio Novo? This air-conditioned room has a mini-bar, soundproofing and a flat-screen TV with satellite channels. The private bathroom comes with free toiletries and a hairdryer. Offering views of the city, this air-conditioned room features a mini-bar, soundproofing and a flat-screen TV with satellite channels. The private bathroom comes with free toiletries and a hairdryer. Offering views of the city, this air-conditioned room has a mini-bar, tea and coffee facilities, soundproofing and a flat-screen TV with satellite channels. The private bathroom comes with free toiletries and a hairdryer. Offering views of the city and the canal, this air-conditioned room features a a mini-bar, soundproofing, coffee facilities and a flat-screen TV with satellite channels. The private bathroom comes with free toiletries and a hairdryer. Featuring soundproofing, this air-conditioned suite features a dining and seating area, coffee and tea facilities and a mini-bar. The private bathroom comes with free toiletries, slippers and a hairdryer. Free WiFi is offered. Featuring soundproofing, this air-conditioned suite has a seating and dining area, coffee and tea facilities and a mini-bar. The private bathroom comes with free toiletries, slippers and a hairdryer. Free WiFi is offered. This air-conditioned room has a seating and dining area, tea and coffee facilities and a flat-screen TV with satellite channels. The private bathroom comes with free toiletries and a hairdryer. Free WiFi is offered. House Rules NH Venezia Rio Novo takes special requests – add in the next step! NH Venezia Rio Novo accepts these cards and reserves the right to temporarily hold an amount prior to arrival. Located on quiet street. Very short walk from Piazza Roma where we parked our car so no need for taxi. Hotel is new and very clean. Breakfast is good. Rooms configuration, decoration and quality. Location was excellent. The twin rooms is nice special when you have childrens. The rooms were a little small but comfortable. Loved the excellent breakfasts and the location . Staff could have provided a room with a better view. Nice breakfast, nice, new, clean, spacious rooms. Except the fact that the hotel is a bit far from centre almost everything was excellent. Staff did not reply to my email after our call they told us they will reply by email for the parking and etc but they did not. In general they are friendly and ok but even in the check in no body told us where to go and where is the elevator and breakfast and what they have here! Just gave us the cards and told us the room number. They gave us king bed but I mentioned many time in Booking.com and the email that we want twin beds..but after all they change it happily. The staff are friendly but they are too busy and not giving you feeling that they have time to ask something.. but after all they are really ok. The cleaning. The atmosphere and style. sparkly clean. Staff friendly. Bed comfy. I found the hotel very modern and extremely clean. Staff were pleasant. Great selection at breakfast buffet. It’s not in the centre of the town but was easy to find - 6 minutes walk from Rome square where you can catch a bus to the airport. Amazing hotel in a great location. 5-10 min walk from the main train/bus station, and the surrounding area is quiet with a lovely square with bars, food, and cafe’s closeby. You are still close to the main tourist attractions but far out enough to not be swamped by lots of people! The breakfast is very good, the scrambled eggs were amazing. Very comfy bed with a beautiful view of the canal and city, and staff were lovely and extremely helpful. Bar is great in the evening. Highly recommend staying here if you’re thinking of visiting Venice. Found 2 cockroaches in the bedroom. Its a good Hotel , modern and in the center.. Takes a bit of walking to get to St.Marks or the Rialto but its manageable.. Breakfast is also good and the Staff, Will go back again. The location of the hotel is perfect, just 15 min walk from main train/bus/taxi station, The hotel is very clean and all staff are polite and attentive. The breakfast was fantastic with lots of variety and caters for all needs including lactose and gluten intolerance. Our room had a great view of the nearby canal and was great to wake up to that view every morning.